Welcome to Affiliate Ninja Mom. My name is Sarah and I’m a full time Mum and a full time affiliate marketer. I’m also a full time ninja. Ok, so I made that bit up (the ninja bit is meant to be a bit tongue in cheek). I started Affiliate Ninja Mom to show other mums learn how to start a blogging or affiiate marketing business from scratch, so they too can supplement their income online. Or even, over time, build a full time income, whilst still having the flexibility to do all the mum stuff too. Technology and the Internet is completely changing the way we work and many people, inreasingly fed up by the stresses and strains associated with the traditional 9 to 5, are looking to the Internet for alternative income ideas. In fact, many people, just like you and me, are leaving the traditional workplace behind and turning to blogging and affiliate marketing busineses to supplement their income and live a much more flexible, balanced life, with their kids. And this is exactly what affiliateninjamcom.com is about. 2 years ago I was working as an online Marketing Manager for a leading UK tourism website. I was spending a fortune on childcare for my daughter, I was exhausted and stressed and my job had long passed its sell by date. And all I could see ahead was more of the same. Then one day something happened at work and I walked out. Now whilst it was horrible at the time and shook my whole definition of who I was, I suddenly saw a light at the end of the tunnel for a whole diifferent way of living. One where I got to earn a living doing something I enjoyed AND actually had the time to be the Mum I wanted to be. I’d already joined an online training platform called Wealthy Affiliate, whilst I was still working FT and was starting to make some extra cash each month from an affiliate marketing website I’d built on home water filters (I’m a bit of a health geek!). So I made a pact never to enter a toxic office environment again, turned to my savings and made a decision to scale my small affiliate profits up to a liveable income. That way I could earn a living and take my daughter to school and pick her up, rather than throw her in a raft of breakfast and after school clubs and hardly ever see her. And over time, this is exactly what I’ve done. It’s not always been easy, but it’s been totally worth it, and I feel blessed and happier than ever before. And the best bit is I get to spend loads more time with my feisty 6 year old daughter, Alice. 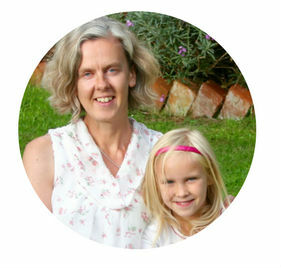 Like the name suggests, I want to show other mums how to become ninjas in the affiliate world too. Because blogging and affiliate marketing is not rocket science. Absolutely anyone can do it. And done right, it works. It’s not only a totally legitimate and acheiveable way to make extra money for you and your family, it also offers a flexible way to work, that’s simply not achievable in a ‘normal’ office environment. However, there’s also a lot of outdated, misleading or over complicated information out there about blogging and affiliate marketing, so with affilitaeninjmom.com, my goal is to offer accessible, step by step guidance on how to succeed at affiliate marketing, the right way, from scratch. This will include everything from how to start a mom blog and make money, the best affiliate marketing programs for beginners, website development and design, affiliate marketing related product and service reviews and much more. One of the things I hope sets this site apart is the fact I aim to make my articles beginner and user friendly, honest and as in depth as possible. 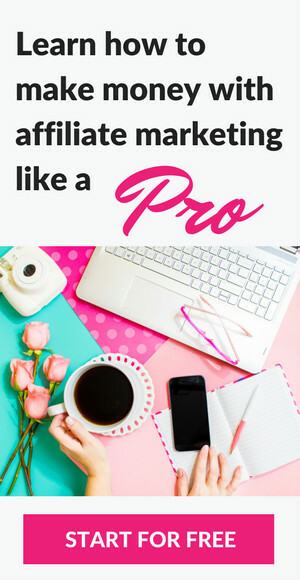 Some of the things that have frustrated me most in my own affiliate marketing journey are blog posts that offer the reader no real value, other than a poorly written lists of affiliate links (you know who you are! ), blog posts that contain ‘click bait’ headlines that then don’t deliver on content and articles that are littered with so much geek speak you need a tech dictionary to understand it. So none of that here! Instead, my aim is to be open and transparent and only recommend ideas, or products, I have either used myself, or trust, and which I honestly think may work for you too. There is no silver bullet or fast track way to making money online. That’s a fact. But with hard work, commitment and the right knowledge, it is totally possible to male money online with affiliate marketing.